1. Students receive practice cards for breaking any of the 5 Classroom Rules. 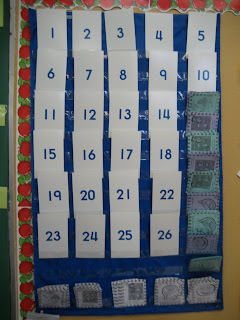 Cards are placed under their name or number (for privacy - although the kids know each other's numbers anyway) on a pocket chart in the room. Often I do not say anything - I just go and place a card below that child's name or number. Sometimes all it takes is me to walk towards the practice cards for the behaviour to stop. Sometimes, I will give a child a card to keep at their desk to remind them to follow a rule - they must give it back to me if they break that rule - works great for Rule #2!! 2. Students may receive a maximum of 2 practice cards per session or until they are able to spend their time practicing that rule. 3. Students miss out on any games, free time, centres, etc. earned by the Scoreboard, until they have practiced the rule/s that they broke. 4. Students practice rule/s broken with gestures and repeating of each rule for 2 minutes (a timer works well for this or I just keep them practicing until I say their time is up). Time spent practicing increases as the months of school go on. 5. Students start fresh again in my classroom after recess, after lunch, and after centre time as we get a reward for winning the Scoreboard at these times. I LOVE these little cards! 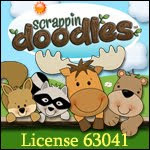 They have really saved my sanity and the kids love the additional difficulty in winning our classroom game. If you wish, you can send home letters to parents outlining rules that were broken for them to help their child practice at home. Download the Practice Cards free ebook at http://www.wholebrainteaching.com. You must sign up for free as a member to have access to these free downloads! 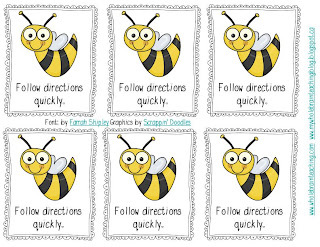 Get your own free bug themed practice cards by clicking below!!! Please let me know if you have any questions! Happy Valentine's Day and Happy Whole Brain Teaching!